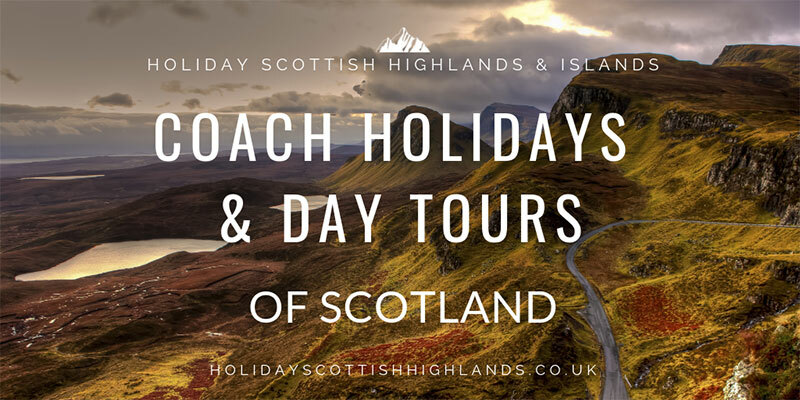 If you want to explore the Highlands and Islands but don’t want the hassle of driving a Scottish Highlands coach holiday could be your perfect trip. There are lots of options for coach trips from small, mini-bus tours to larger coach trips. Holidays are sometimes offered on an all-inclusive basis or half-board with accommodation in specially selected hotels. National Holidays coach tours give you lots of choices. You can explore the incredible cities of Edinburgh and Glasgow or the amazing scenery of the Scottish Highlands. Trips include visits to beautiful places such as Loch Lomond, the Trossachs National Park, Fort William and the harbour town of Oban. National Holidays coach tours depart from various locations across the UK. Young (or young-at-heart), open-minded and on a bit of a budget? Busabout and HAGGiS bus tours are your solution. They want to make your cash stretch as far as possible whilst still having a great experience in the Scottish Highlands and Islands. You get a lot for your money though with top tour guides and a wide range of destinations including the islands of Orkney, the Outer Hebrides and Skye. You can also book a trip for particular events such as Shetland’s Up Helly Aa Viking Fire Festival or a Highland Hogmanay. With a VisitScotland 5 star accreditation and excellent customer feedback, Highland Explorer Tours have a great reputation. Tours range from day trips or you can have a proper holiday with longer tours exploring Loch Ness, the Isle of Skye and the Outer Hebrides. You can choose your accommodation to suit your budget. The tours depart from Edinburgh so it’s nice and easy to get to your departure point. (Our guide on how to travel to Scotland will help you plan your jouney.) You will travel on Mercedes-Benz climate controlled midi-coaches which are low-emission and eco-friendly. A friendly, local guide will lead your tour and bring to life the culture and history of Scotland. Highland Explorer Tours don’t operate a minimum number of passengers policy so have never cancelled a tour. As someone who has experienced the disappointment of being told a trip’s not running due to low numbers, I think this is a great policy. Caledonian Travel are based in Scotland and offer short-break holidays with various departure points including Glasgow. They run trips to various top Highland destinations including Fort William and Oban. You can also do a bit of island-hopping to Mull, Skye, Coll and Islay. There’s also the chance to take a trip on the famous Jacobite steam train through some of the most incredible scenery in Scotland. Just Go! have a smaller selection of holidays to Scotland but they do offer an island-hopping trip of the Outer Hebrides where you fly to Glasgow and then travel by coach. Shearings have a great selection of coach tours around the Scottish Highlands and Islands. Shearings can whisk you away on a coach to mainland destinations including Fort William, Strathpeffer, Loch Ness, John O’Groats. Railway enthusiasts will be spoilt for choice as several trips give you the chance to travel on some of the greatest railways in the world. How does a trip aboard the Jacobite steam train on the West Highland Line through some of the most stunning scenery in Scotland sound? If you want to experience the magical islands off the coast of Scotland, there are tours to the Isle of Mull, the Isle of Skye and the Outer Hebrides. For more coach tours around the Scottish Highlands and Islands, check out our tour listings which also includes cruises and private day tours by car and coach.